A teenager girl, or teen girl, is a young girl whose age falls within the range from 13–19. Their bedroom decoration is more modern than a child’s style, but still hasn’t reached the sophistication of adult taste. 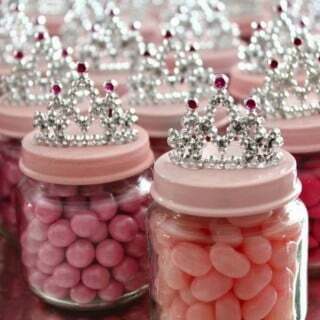 As your little princess grows, you may need to change the mood in her room from sweet fairy style to a more sophisticated look. Decorate her bedroom with various accessories which would reflect her interests and hobbies. 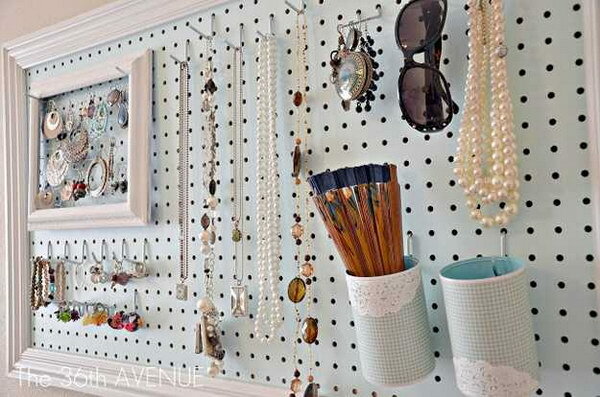 For example, you can use a Pegboard Wall Organizer to display her trinkets and treasures. 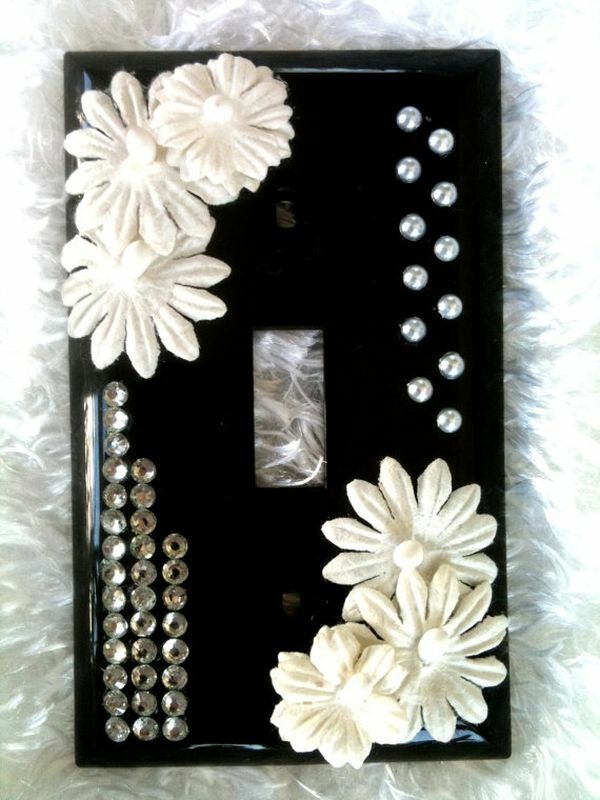 You can also decorate a mirror with lights and make a Hollywood style makeup mirror. Check out these cool teenage girl bedroom decorating ideas, which may help you style and create her perfect personal space. Get the details via twotwentyone. Get the tutorial via diddlium. 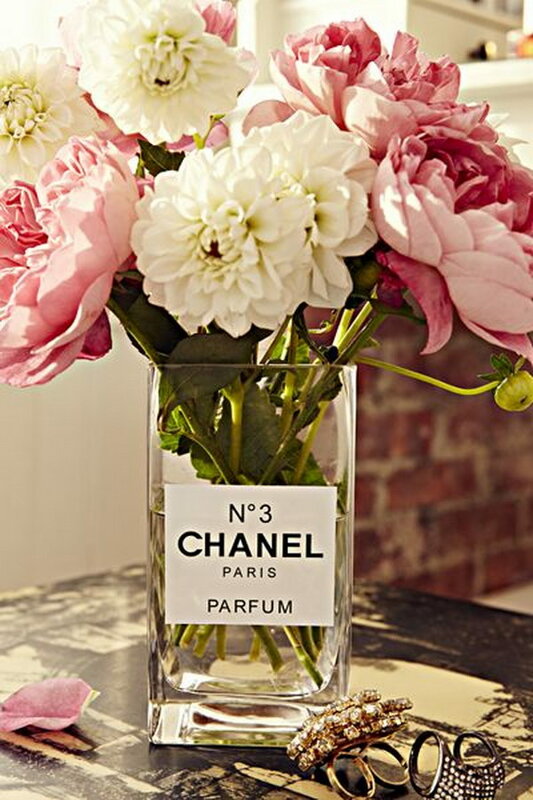 Turn a plain vase and make it look an elegant perfume bottle. You just need to print out a sticker that makes it look like a perfume bottle. If you can’t make stickers in your printer? 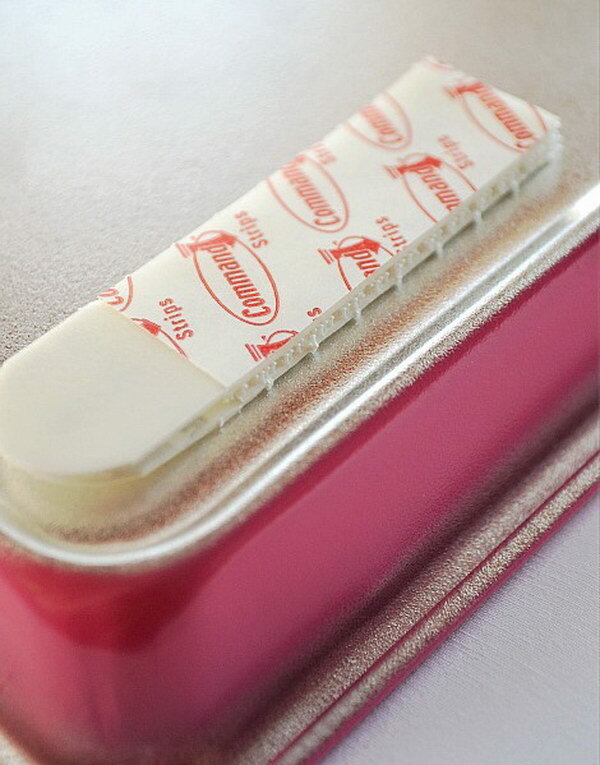 You can also draw a label on a piece of heavy paper and use glass glue. Get the tutorial via stylingmyeveryday. This intimate corner and reading nook is the perfect place to enjoy a book. 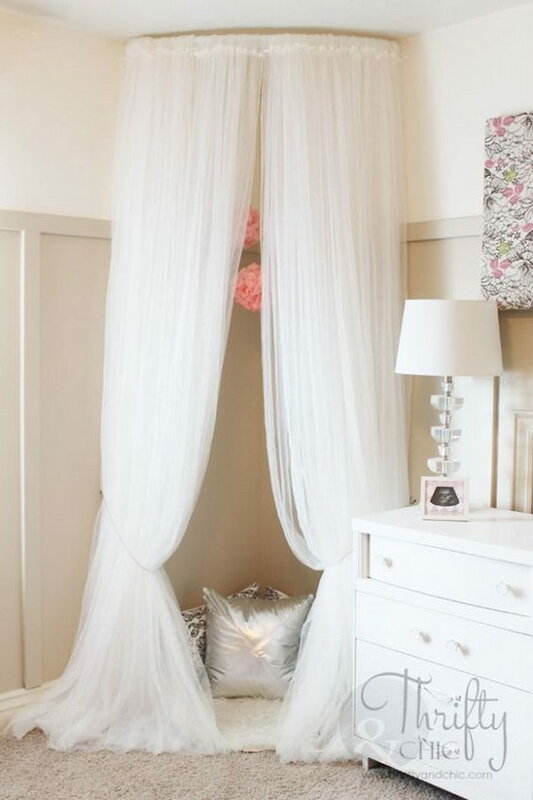 See how to make a gorgeous canopy nook on budget from thriftyandchic. 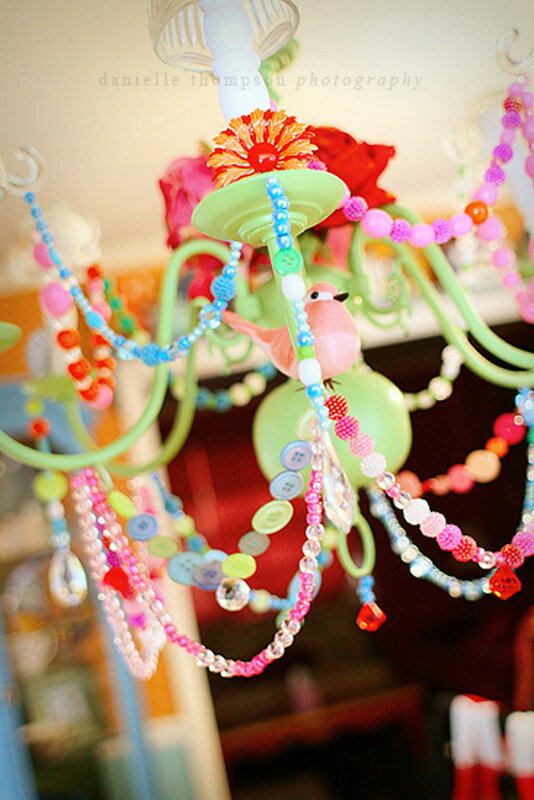 Add strings of buttons, beads and any other trinket they want to add character to their chandelier. Get the tutorial via thompsonfamily. Retro fur accent chairs can make the space feel cozy and inviting. 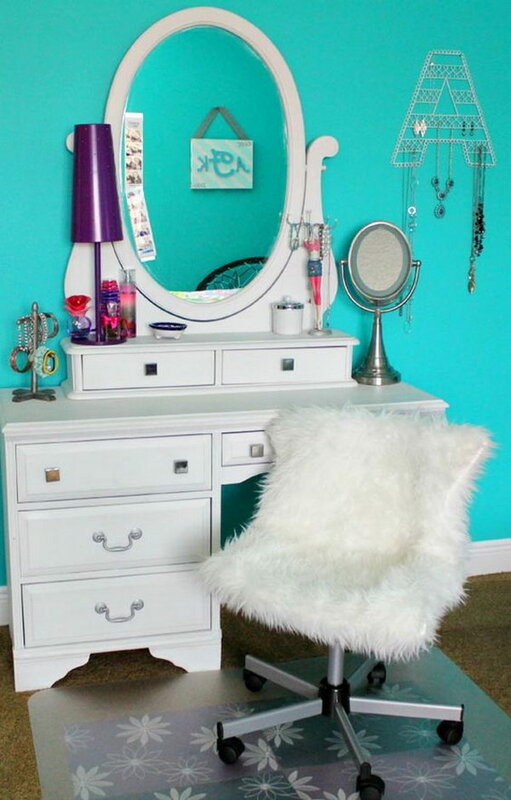 Every girl must have a pair of ghost chairs with fur seat covers in her room. Get the tutoril via freshideastudio. 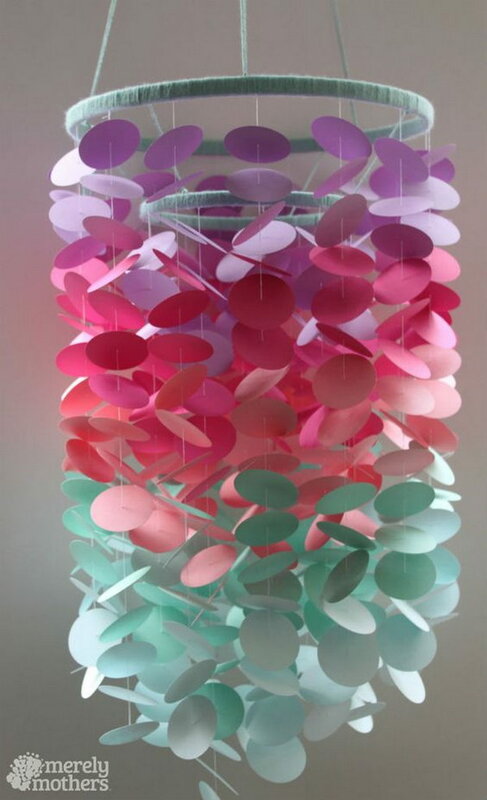 This beautiful paint chip mobile is so simple and very inexpensive to craft, and makes a cute home decoration. Get the tutorial via merelymothers. 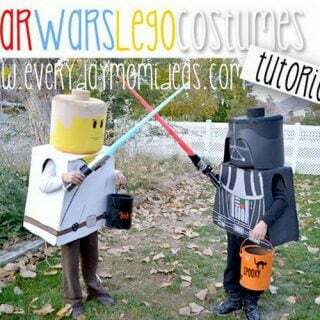 Get the tutorial via Youtube. Love this DIY blooming monogram which will make the perfect touch of spring to add to your home! Get the tutorial via decoist. Baskets can help turn a messy storage spot into well organized and pretty space. 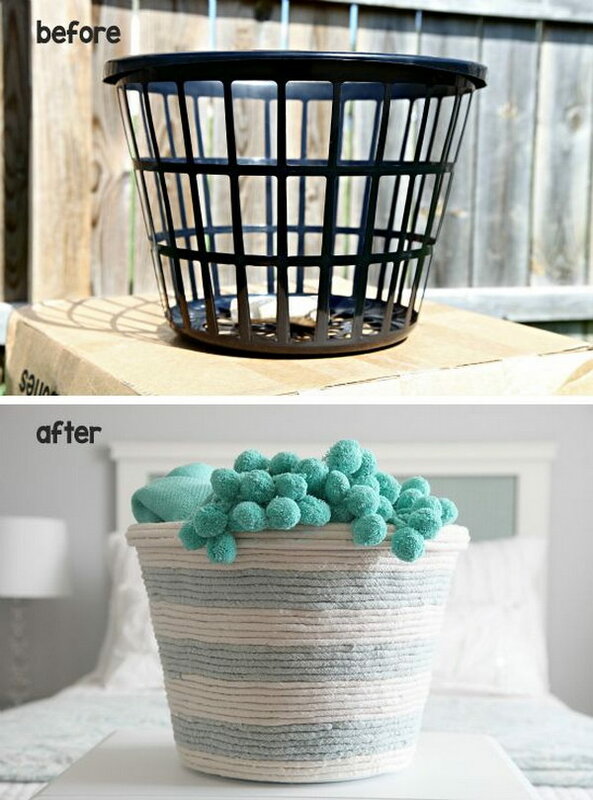 Follow this easy tutorial on how to take some cotton rope and a dollar store basket and makes it into stylish storage. Get the tutorial via iheartorganizing. Make this simple and stylish hanging organizer out of buckets, and some rope. 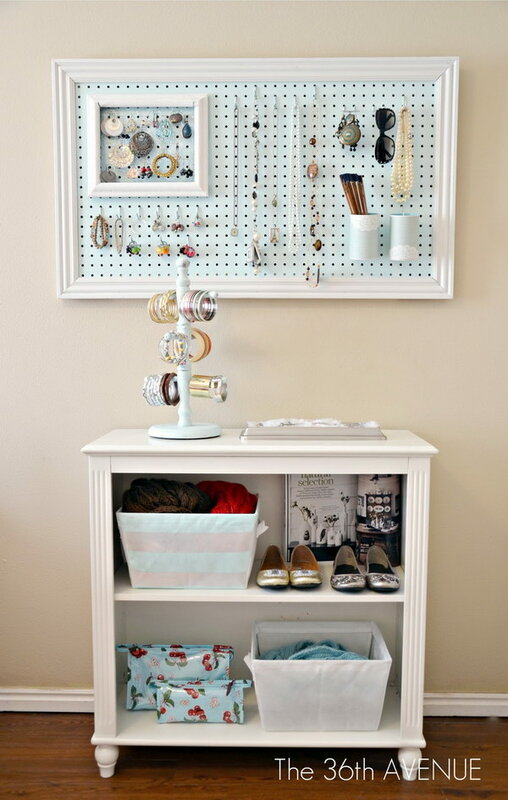 It’s great for setting for holding everything in easy reach in your room. Get the tutorial via glamour. 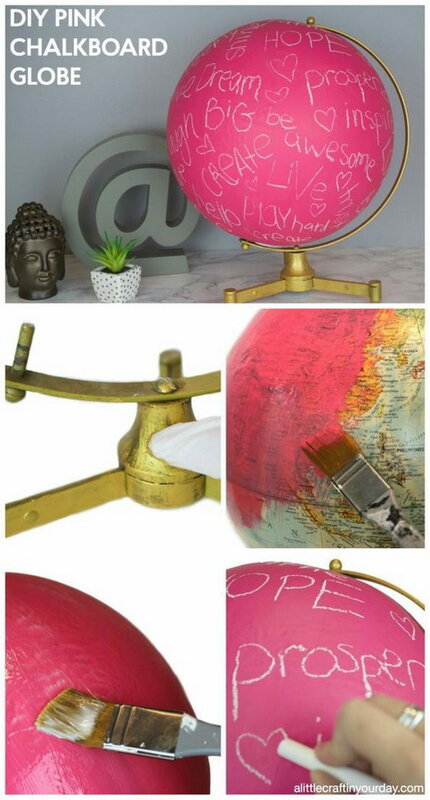 This pink chalkboard globe will be the perfect styling piece and can add character to your room. Get the tutorial via alittlecraftinyourday. Choose matching bins from an office supply store, or puzzle together bottoms of cereal or pasta boxes to build this easy and effective storage system in just a few minutes. 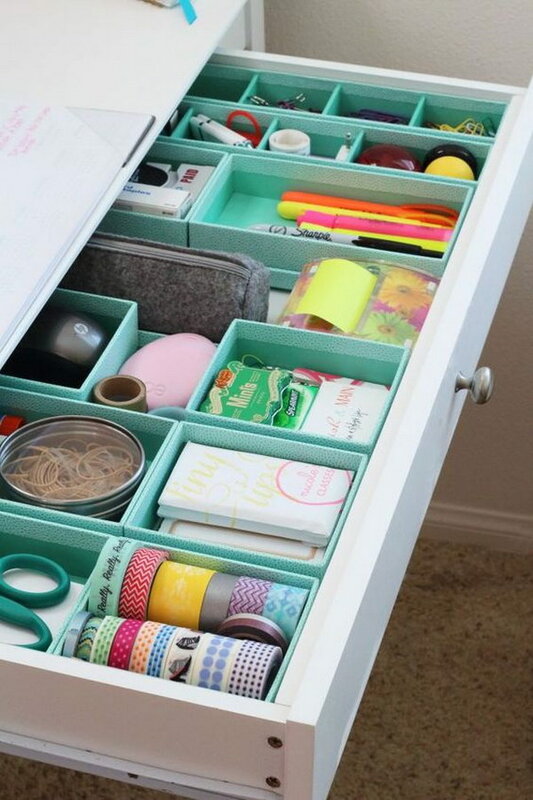 Your desk will be pretty neat and tidy with this simple solution. Get the tutorial via goodhousekeeping. Add decorative wall hanging and the perfect over the desk organizer with these fabric-covered clipboards. 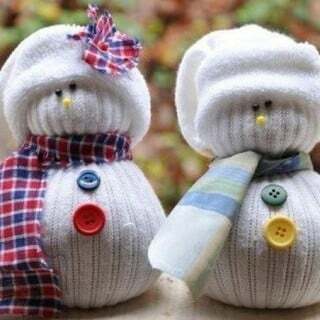 Via goodhousekeeping. 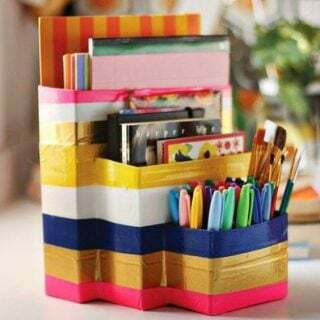 A functional and whimsical way to get organized in the new year. See how to via acharmingproject. 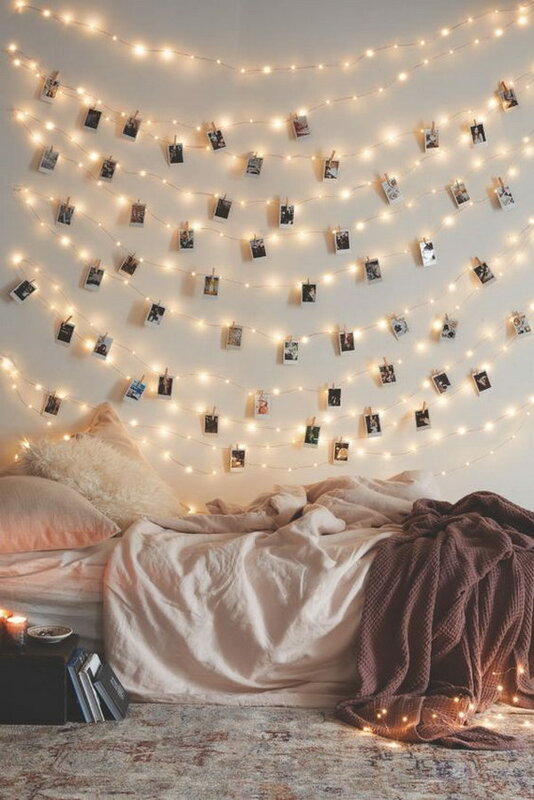 Make this stunning room decor that will illuminate your room and remind you of your best memories. Get the tutorial via urbanoutfitters. 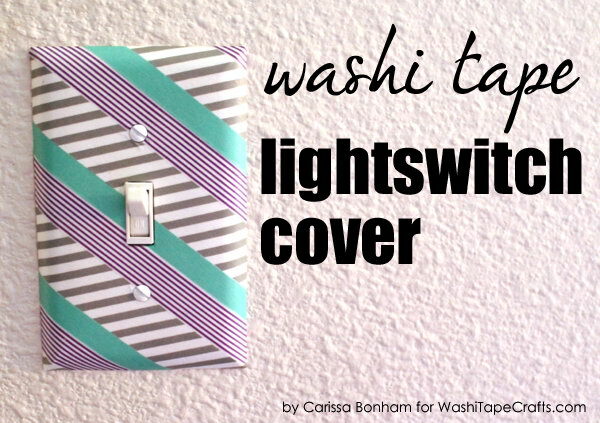 Craft your light switch cover so it looks much more attractive! Just pretty up them with washi tape. 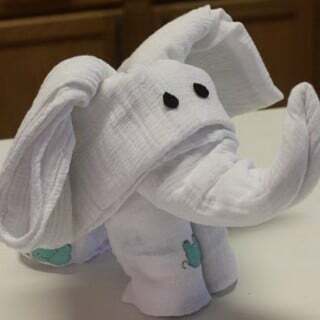 Get the tutorial via washitapecrafts. 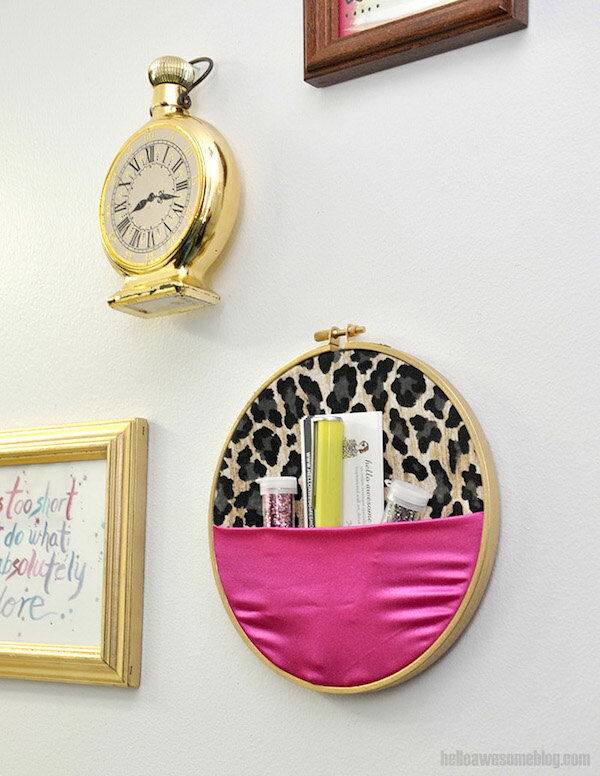 Turn trash to treasure with this upcycled DIY project. 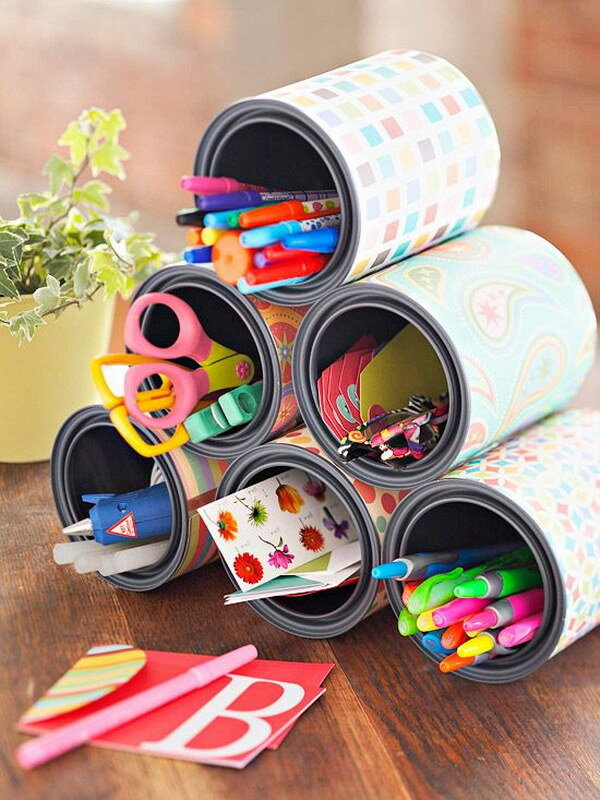 Empty paint tins can be re-used to organize and store your stuffs! Via pinterest. 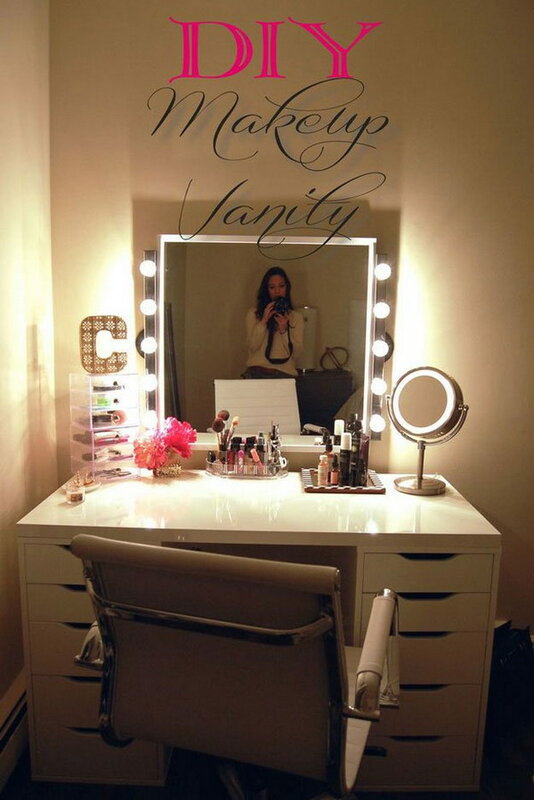 This is a really cool and cheap way to make a Hollywood style makeup mirror. Get the tutorial via made2style. Macrame this boho-chic hanging chair with clothesline and a hoola hoop. You will love the seating, and the relaxed feeling of the room. 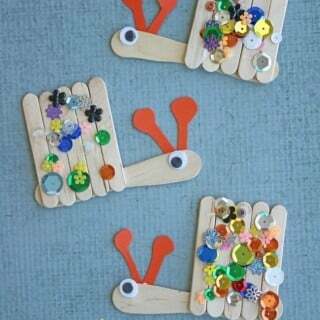 Get the tutorial via classyclutter. Next time, don’t throw away those really cute and really strong shopping bags. 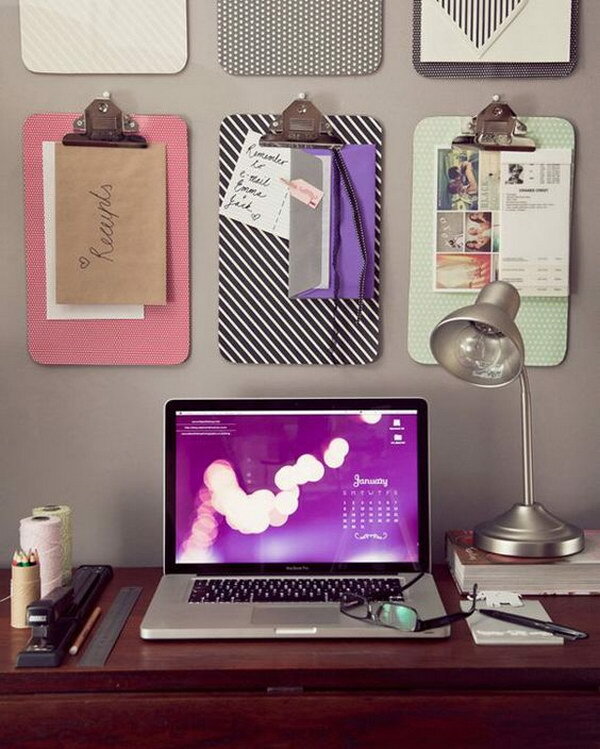 You can actually repurpose them by mounting them on your wall and using them to store notebooks, magazines or other little supplies. Get the tutorial via lezoemusings. 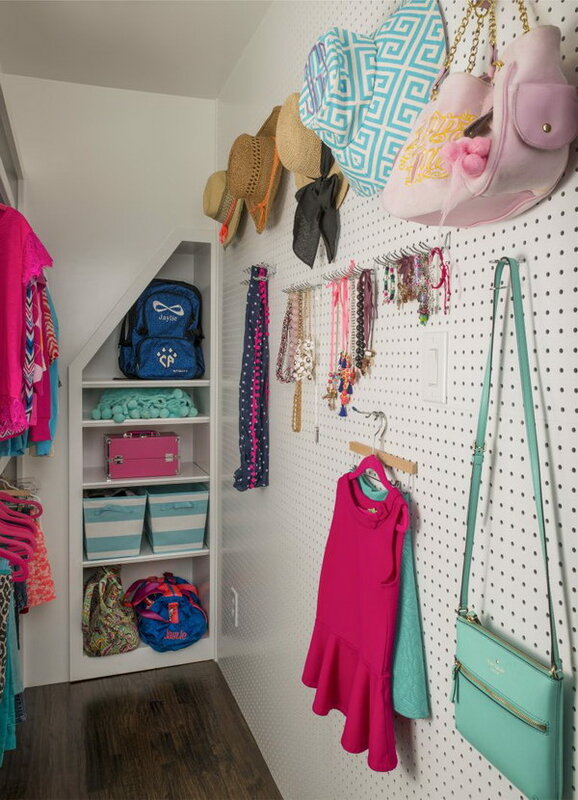 Pegboard is an organizational dream fit for every room in the house. And you can paint it any color you like. Get the tutorial via housebeautiful. 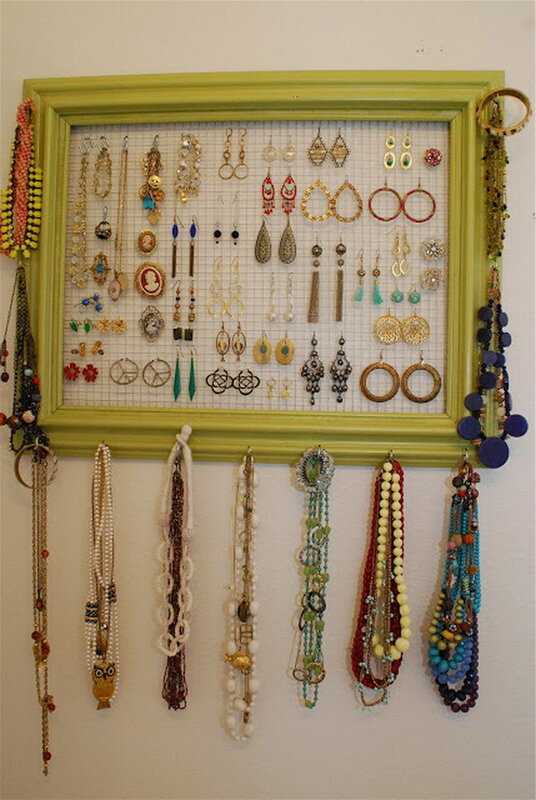 This DIY jewellery organiser is a great way of displaying your trinkets and treasures. Get the tutorial via the36thavenue. 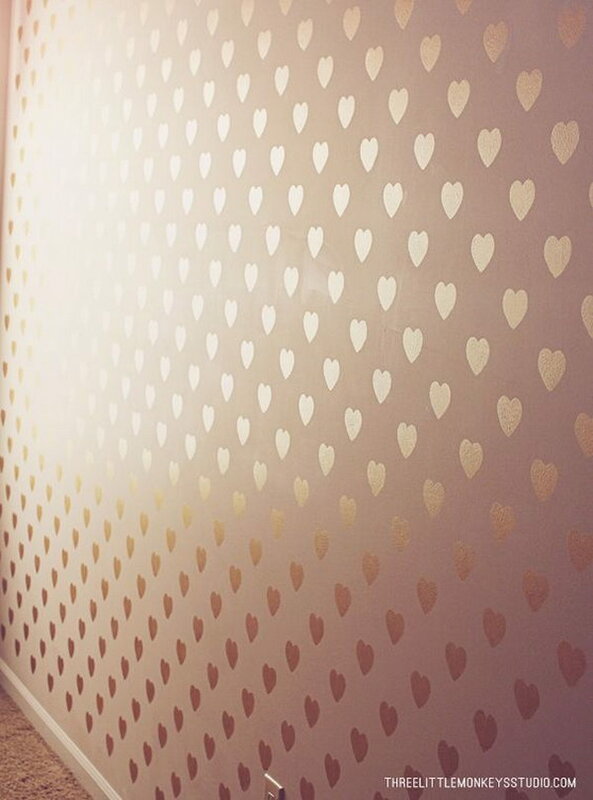 What an inexpensive, quick and easy DIY Project that yields big results! 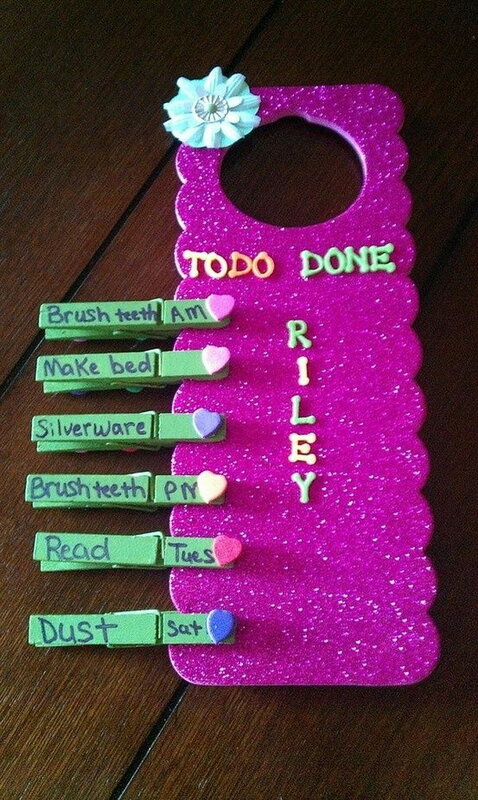 This is great for the little things you always can’t find. 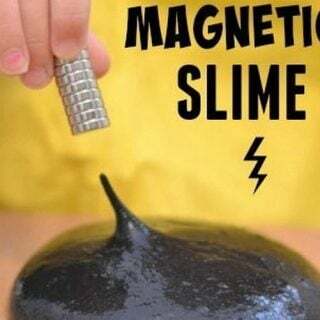 Get the tutorial via diycandy. 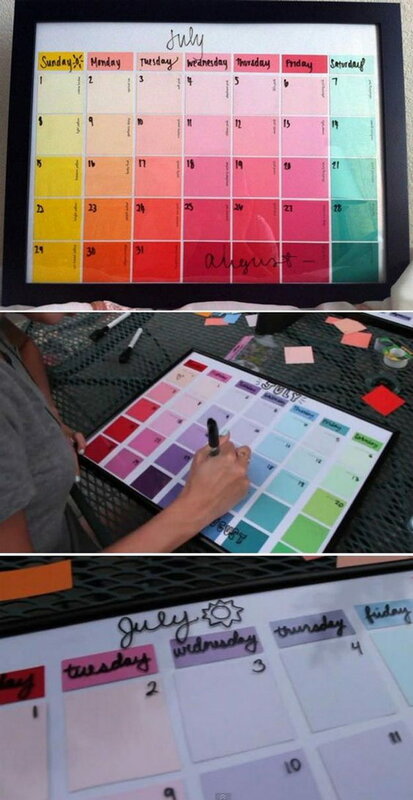 Find a frame from the dollar store, use paint chips for the background colors and layout a calendar format. Get the tutorial via diyready. 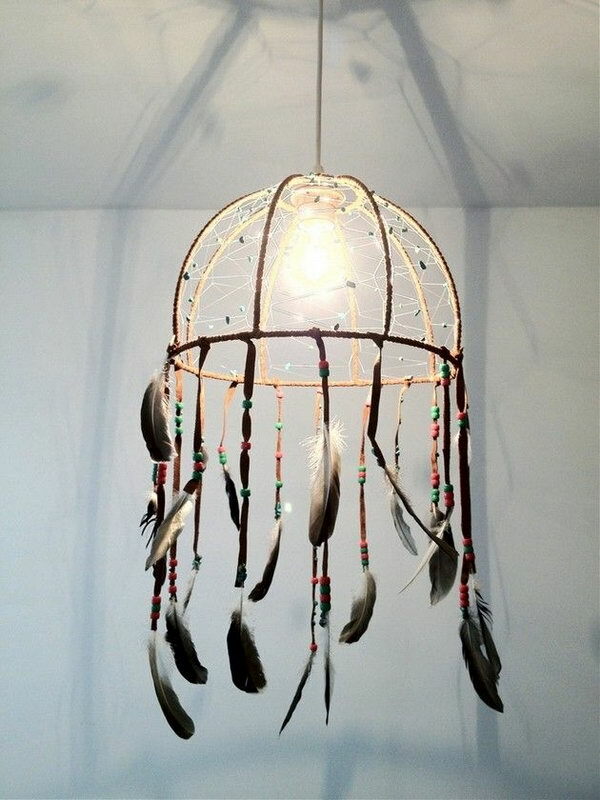 The dream catcher is such a fun art design to add your own sense of creativity. And you can speak your intentions into dreamcatchers and they will be done. Get the tutorial via yesidim. Update a cheap white fan into a rainbow beauty. 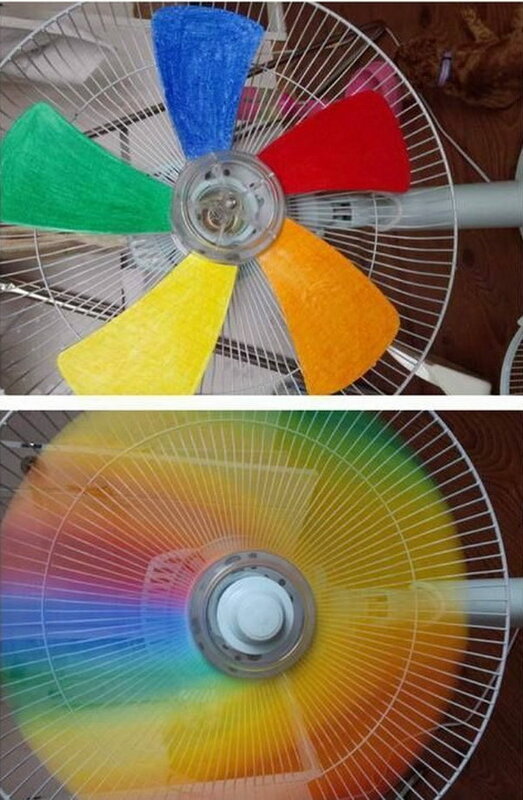 Youcan paint fan blades to get that fantastic colorful rainbow effects. Get the tutorial via diyhomestips. For a blank wall, you can make a name version or any other version you like with this easy tutorial. Via honeyandfitz. 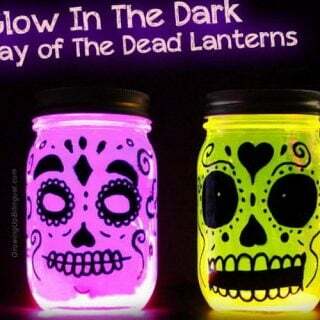 Make your own DIY lantern style lamp out of tin cans and spray paint. Really in love with this colourful statement piece. Get the tutorial via casadecolorir. 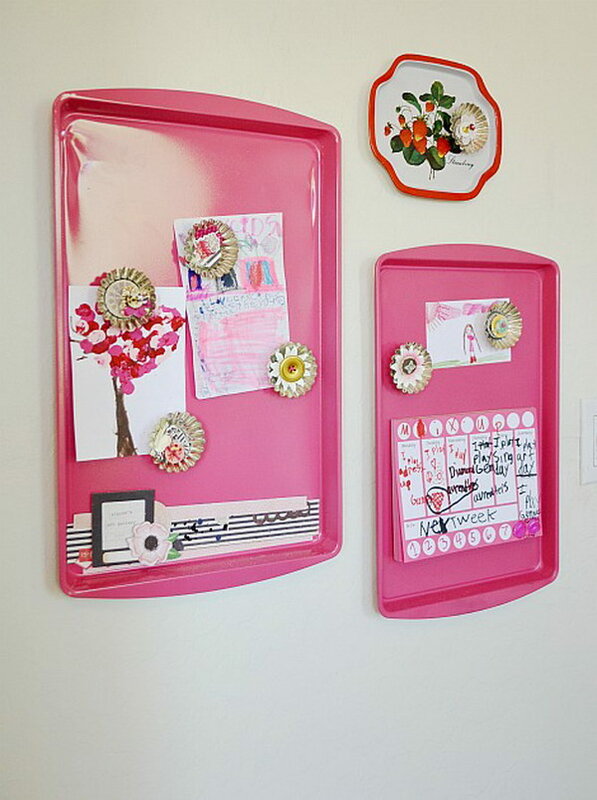 Use items from the dollar store to make a pretty mirror to display on a table or dresser. 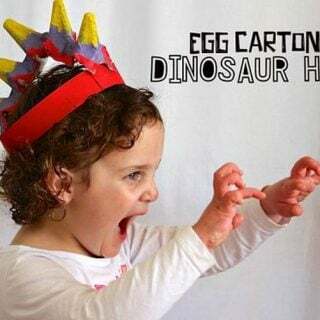 Get the tutorial via createandbabble. What a clever and stylish way to incorporate a small study table into a small bedroom, disguish it as a mirror! Get the tutorial via handimania. 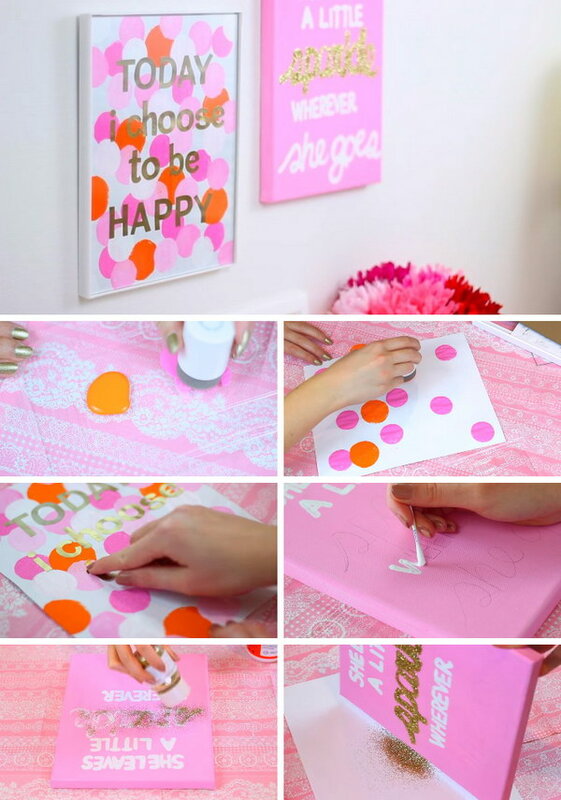 Say hello to spring with this easy DIY home decoration project. Get the tutorial via designdazzle. Trace words out of black cardstock. 2. Spray adhesive to the front of the letters. 3. 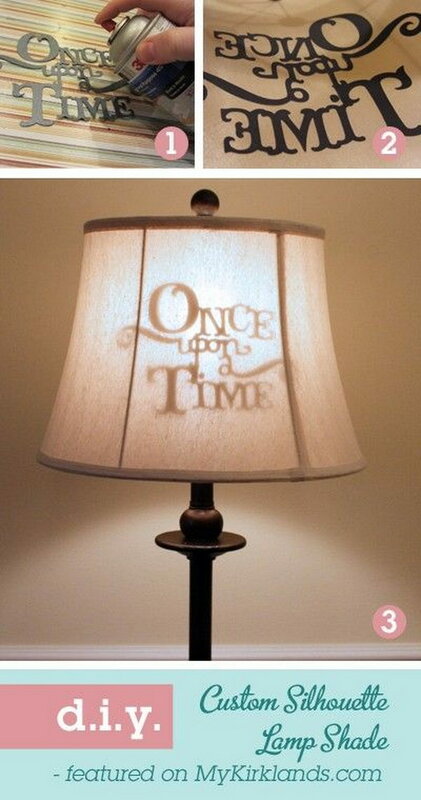 Attach to the inside of the lampshade and enjoy. Get the tutorial via chicaandjo. 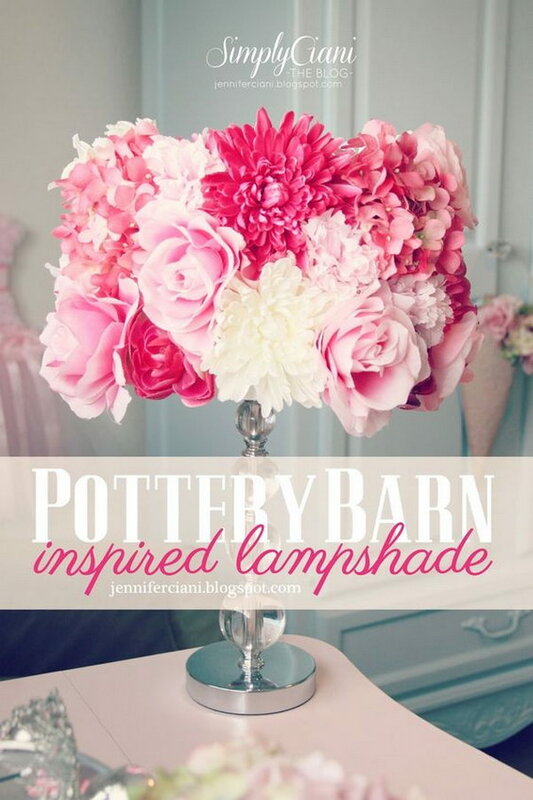 Take a lampshade from boring to beautiful with this DIY Silk flower lampshade. Get the tutorial via jenniferciani. 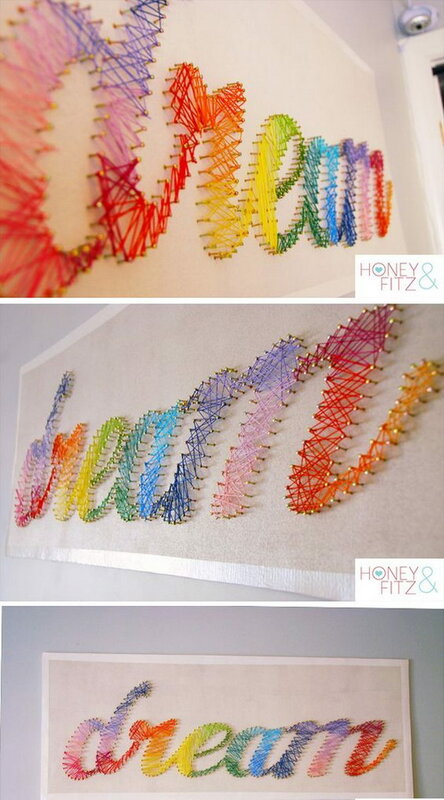 Make your own light up marquee style letters for a sweet room! Get the tutorial via lindsaystephenson. 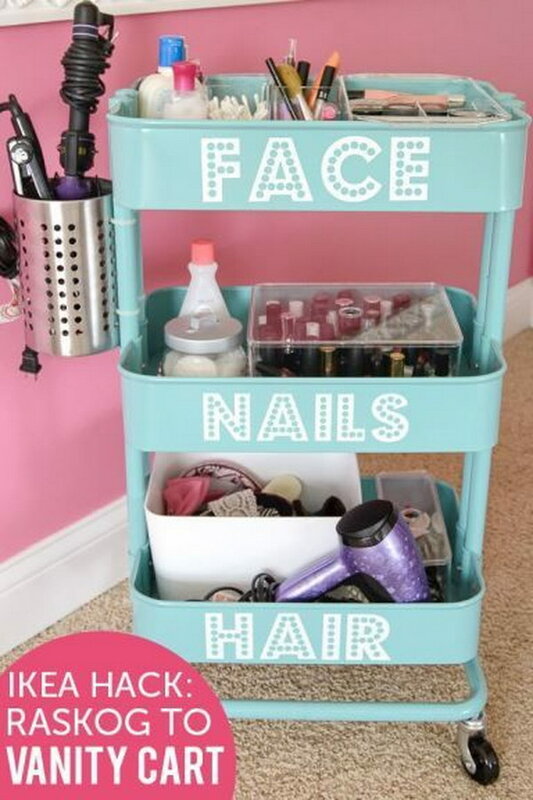 Love this pink box for organizing! Via dimplicity. 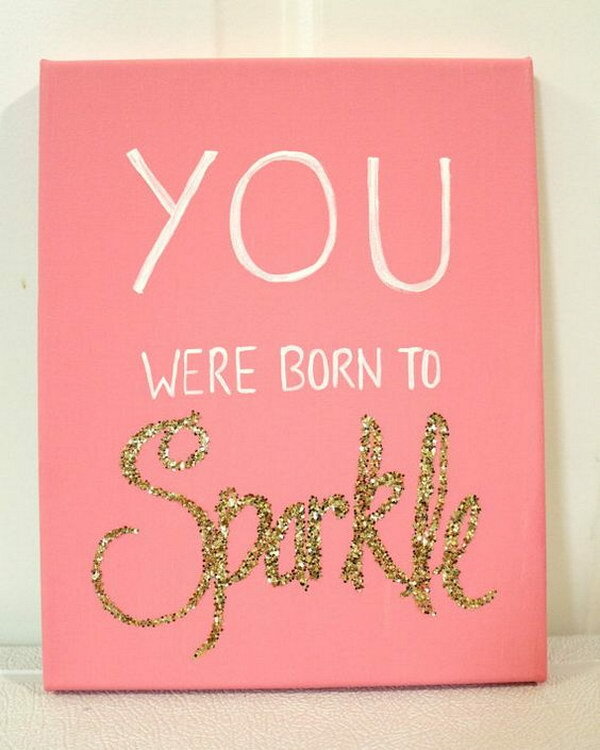 A switch decorated with rhinestones will have a charming effect in any space. Pick a soft pattern, you don’t want a flashy light switch and an empty wall. Via casa-construct. Create a gallery wall to display art, photos or quotes. Get the tutorial vi typepad. sometimes you just have to have that cool thing. Get the tutorial via neekknows. Want to make a map like this for yourself? Check out the video tutorial via youtube. 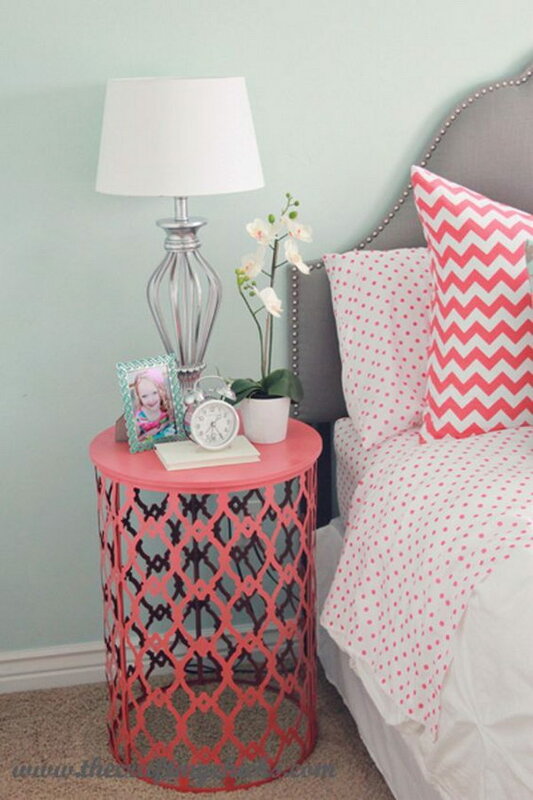 Spray paint cheap metal garbage cans and turn them upside down to make cute night stands in any color you like. Get the tutorial via thecraftingchicks. Get the tutorial via sengerson. Don’t throw out fabric scraps and old t shirts, recycle them into this practical and good looking braided rug. Get the tutorial via mypoppet. Create a clothespin photo frame to display photos, cards, or other memorabilia. Get the tutorial via alittlecraftinyourday.